Feed More is able to nourish our community through our Network of Agencies and programs that serve 34 cities and counties through Central Virginia. As a member of the Feeding America network of food banks, Feed More solicits, stores and distributes large donations of food to organizations that feed hungry people. We utilize our network of nearly 300 agencies to distribute food to localities. Our agencies are comprised of area non-profits to include soup kitchens, food pantries, care centers and meal programs, across our 34 city and county service area in Central Virginia, and are held to food handling and safety regulations. In addition to food provided directly from Feed More, food and grocery products are distributed to agencies though the Feed More Direct Store Pickup Program. This program connects our Agency Network with our grocery and retail partners, so they can pick up food donations directly from stores in their neighborhood. In addition to saving valuable time and money, this program allows our retails partners to directly impact their local communities and fight food waste. 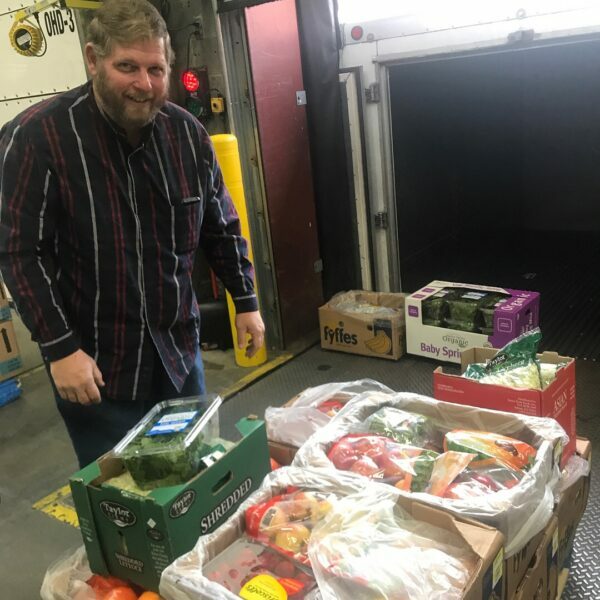 Today, Feed More and our network of nearly 300 partner agencies across Central Virginia recover food from local retail partners including Aldi, BJ’s, Costco, the Fresh Market, Food Lion, Kroger, Sam’s Club, Target, Trader Joe’s, Walmart, Wegmans and Whole Foods. Our Retail Recovery and Direct Store programs have provided millions of pounds of deli meat, bread and bakery items, produce and other healthy perishable food items to our agencies to distribute to their neighbors who struggle with hunger. Help neighbors in need by starting a food drive today!